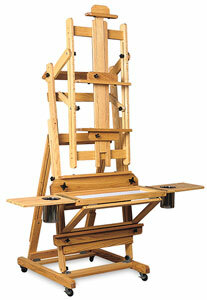 The Best Manhattan Easel is a magnificent piece designed by a portrait artist for the professional painter. Features a double fold-out painting tray with a melamine mixing surface and two large stainless steel canisters. Made in the USA. 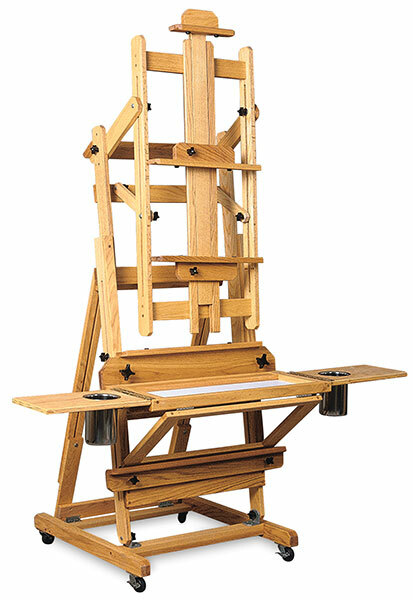 American oak.